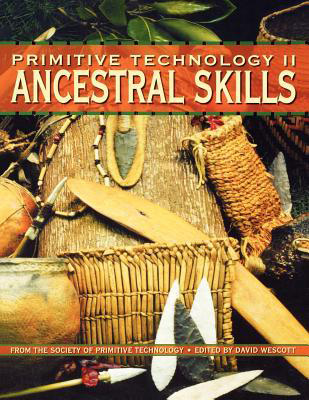 The Paiute Trap, also known as the Paiute Deadfall Trap, or Paiute Deadfall Mangle Trap, is featured in many survival books as one of the most useful traps. Thomas J. Elpel says it is the trap that he has used the most. 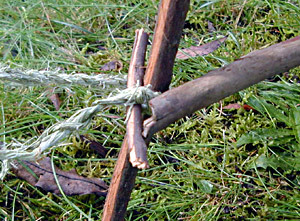 Assuming that you already have some cordage, it is the easiest trap to construct that I have made so far. There are three straight pieces of wood, plus a smaller piece, to make the Paiute trap. There are only two cuts required, one flat edge and one notch, compared to seven for the figure four trap. 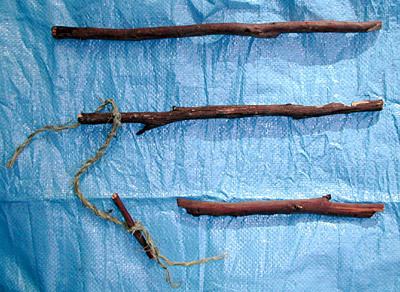 The four pieces are referred to here as the vertical, the diagonal, the bait stick, and the trigger (which is the smaller piece). 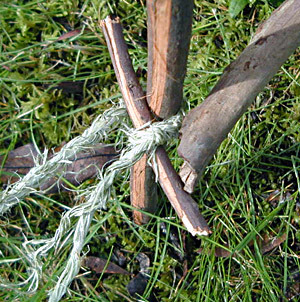 You also need a short piece of cordage, about a foot (30 cm) should suffice unless you are making a very large trap. I used home made cordage, that I made from Lomandra (Mat-rush) leaves, although almost any kind of string, cord of rope will work. It does not need to be very strong. You also need a weight. The "rock" I have used here is a piece of broken up concrete slab that I found in the garden. The parts of the Paiute trap (not including the rock), from top to bottom:	the	vertical,	the	diagonal	(tied	to	the	trigger with a piece	of cordage)	and	the	bait stick. Although the lengths are not critical, in the trap shown here the sizes are 38 cm (15 inches), 35 cm (14 inches),	28	cm	(11 inches) and 9	cm (3.5 inches). Gregory Davenport says to make the diagonal about 2/3 the length of the vertical. The wood was from dead gum tree (Eucalyptus pipertia) branches I found in the backyard. I used a large heavy knife with a saw back for most of this work. You could use many kinds of tools. Be sure always to cut away from yourself! Below is the assembled and set Paiute deadfall trap. 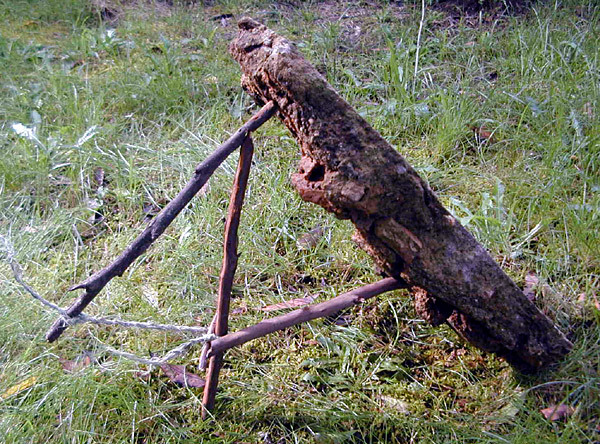 This trap is very sensitive, as the bait stick is balanced precariously between the rock and the trigger (the small stick). Weight from the rock is bearing downwards on the top of the diagonal. Since the diagonal is notched into the top of the vertical piece, the weight makes the diagonal want to swing outwards (to the left in this picture). The diagonal is prevented from swinging outwards by the cord, that is, it is pulling on the cord (pulling to the left in this picture). The cord wraps (half a complete circle) around the vertical piece, and is held at this end by the short trigger piece, which it is tied to. This makes this end (the frontmost end in the picture) of the trigger piece want to move to the right. The trigger piece is itself held by the end of the bait stick pushing on it (also to the left in the picture). If the bait stick or trigger piece is disturbed even slightly, the entire assembly falls to the ground, and the heavy rock falls on top of anything underneath. 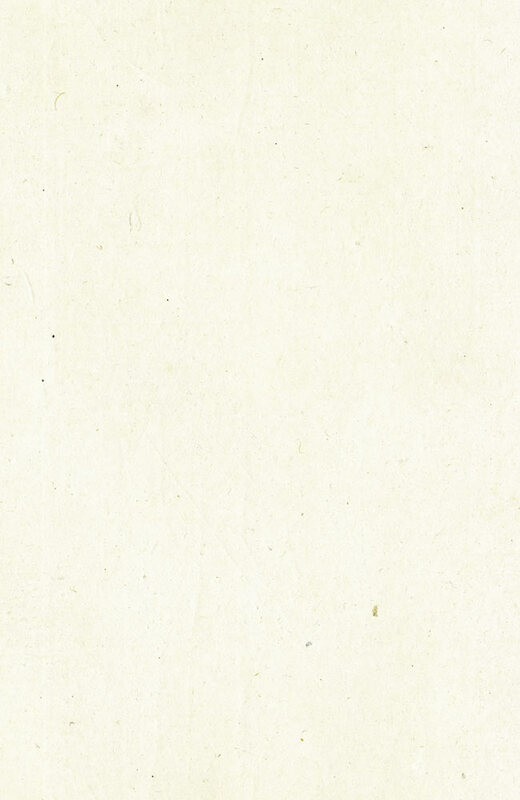 This is all much easier to see in action than to describe. Assembled Paiute deadfall trap. Bait would go on the lower, horizontal stick. This is the first cut, a two-sided flat edge at the top of the vertical piece. This is cut two, the notch at the top of the diagonal. To cut a notch quickly, you can use the saw of a Swiss army knife to cut the short edge of the notch. That is, the edge that goes straight into the wood, not at an angle. 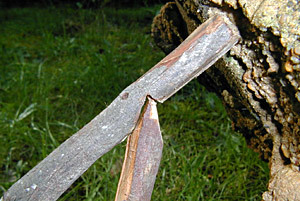 You can also use a knife, by placing the knife, with the sharp edge facing downward, across the stick, and then strike the back of the knife blade with a piece of wood. Do not use a steel (such as a hammer) or a rock to strike the knife blade or you may damage your knife. After making this incision, finish the notch by cutting towards it with a sharp knife (or chisel). This is a close up of the above two cuts when the trap is assembled, with the flat edge of the vertical fitting into the notch of the diagonal. Close up of the trigger, with the Paiute trap set. The upper part of the cord	is holding the weight and pulling to the left. The lower part of	the	cord	is	just	the	loose	end, which could be cut a lot	closer	to the	stick	than	I	have made it. I didn't want to	cut the	cord because	it	took me	so	long to	make it. Another close up of the trigger, taken from a higher angle of view. The leftmost part of the cord is holding the weight, with the loose end hanging down closer to the centre of the picture. The	bait stick	(the	rightmost piece) is being pressed downwards and leftwards by the	rock. It	is pushing	on the	right-lower end of	the small	trigger piece. The cord is tied to the trigger piece and is pulling in the opposite direction. Close up of the cord connecting the lower end of the diagonal to the trigger.